There are memoirs of family and there are memoirs of family. 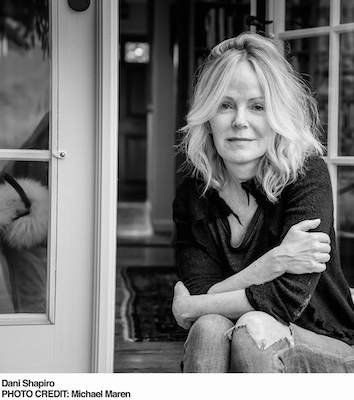 Dani Shapiro, a much-admired writing teacher, and acclaimed author of several novels, had written a number of memoirs, probably thinking she had written her way through the form. Lo and behold, a genealogy test that came by mail-order, and what it set in motion. In her extraordinary new book, Inheritance: A Memoir of Genealogy, Paternity, and Love (Knopf), she beautifully and movingly navigates all manner of mystery and wonder, an exploration that affects her own being, her husband and son, her family, and people she had never thought she’d be in touch with for the reasons she does. “When Dani Shapiro discovers, purely by accident, that the father who raised her was not her biological father, she embarks upon a profound journey of understanding. What is ancestry? What is identity? Inheritance is a compulsively-readable investigation into selfhood that burrows to the heart of what it means to accept, to love, and to belong.”—Anthony Doerr. 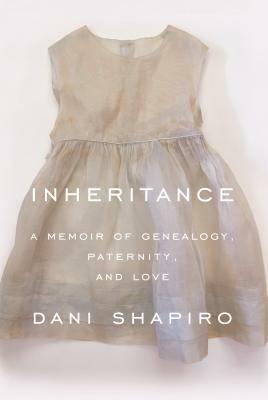 “Inheritance is Dani Shapiro at her best: a gripping genetic detective story, and a meditation on the meaning of parenthood and family. It raises profound questions about the quandaries and responsibilities engendered by our newfound ability to know what—and whom—we are made of.” —Jennifer Egan.